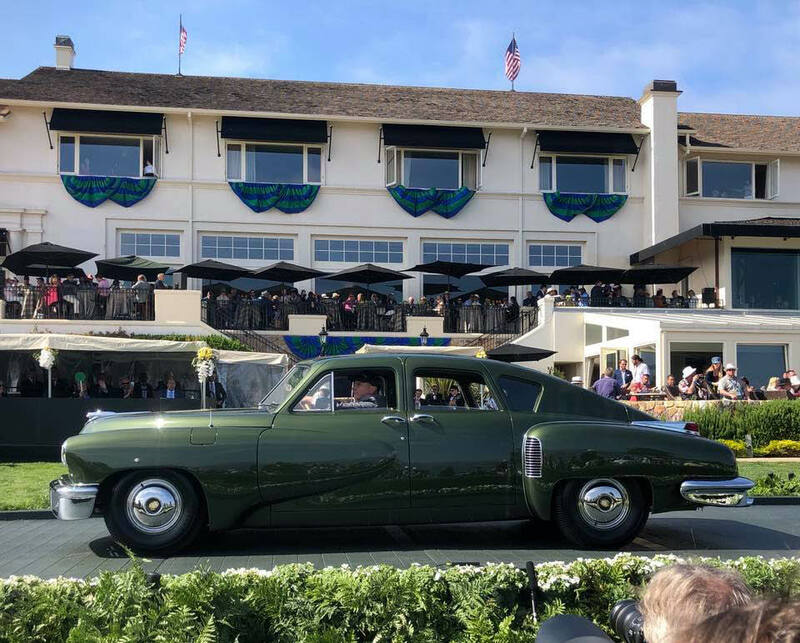 Pebble Beach Concours d'Elegance has released its official photo of Tucker 1044 receiving its Second in Class Award, only behind Tucker 1009 owned by filmmaker George Lucas. 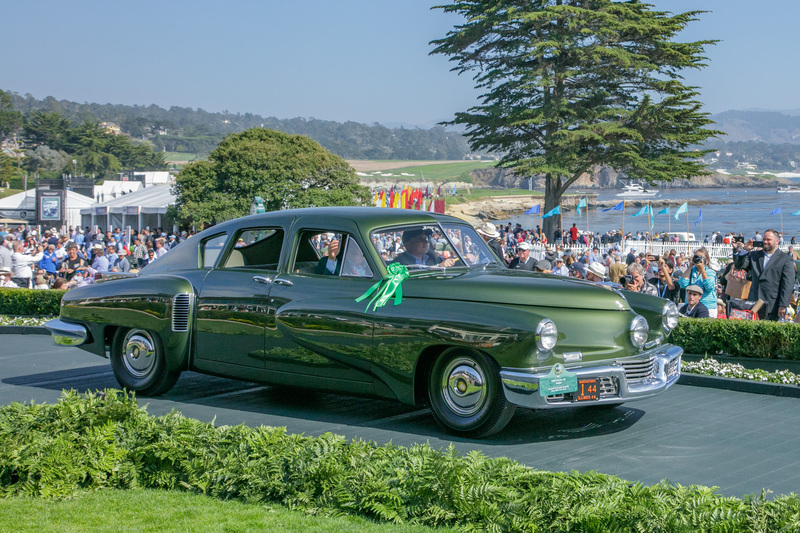 The margin in judging points between these two Tuckers was reportedly the smallest in Pebble Beach Concours d’Elegance history. The photo was forwarded by Kevin Leavesley, editor of Tucker Times. 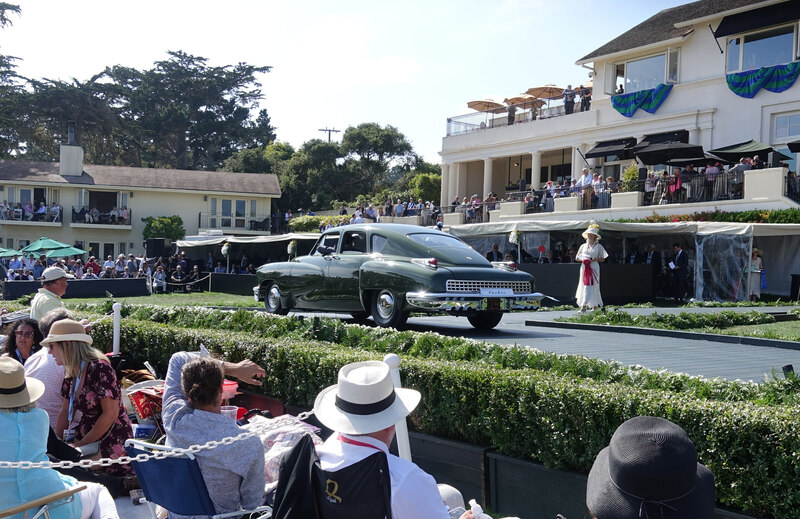 It was taken by Kimball Studios, courtesy of Pebble Beach d'Elegance. Rob Ida had the honor of driving Tucker 1044 on to the awards ramp with me as the passenger. Congratulations Howard, I watched the entire 3 and a half hour broadcast of the show in the hopes of seeing you receive an award unfortunately they didn’t broadcast it. They did however show a glimpse of you and your team in the first few minutes of the broadcast driving the car. Anyway, congratulations! Pebble Beach had to have been an amazing experience. I can’t wait to see the car back home on Long Island. What a car,let me tell ya,gotta see it,when will it be?“maybe never,hope not. Congratulations and a well done,must have been an amazing experience ! CONGRATULATIONS ! WOW ! To reach such a level of success in such competition is a tribute to the Tucker Team and Howard ! What an accomplishment! Congrats to you and the entire Tucker team. The entire Pebble experience, the photos and videos are to be cherished for a lifetime. Congratulations on your Pebble Beach Award and a special salute for preserving this wonderful car! Well done indeed! Congratulations to you Howard, your family and the and entire restoration and support team. You all deserve the highest accolades for the preservation and restoration of this historic automobile and Tucker legacy! Fantastic! Congratulations on your win at Pebble Beach. To do that well on a car put together under a time crunch is remarkable. The restorers have to be great craftsman. It took me 9 years ( working mostly afternoons) to complete our Packard, so you can see why I’m impressed.